Star Wars. Batman. These are the sagas that our geek team was raised on, so it’s only right that we pay homage to them with an epic Mega Box! 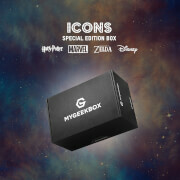 "Just opened @MyGeekBox mega box 📦 all I can say is WOW!" "...just got Nostalgia special box. WOW." 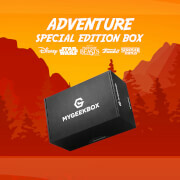 "…MyGeekBox you did a great job on the TV Show special box." 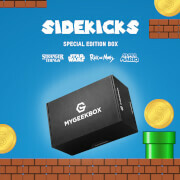 We’ve only got a limited amount of these boxes, and subscribers are getting exclusive early access. If you want to geek out with some of the biggest sagas on the planet, this box has your name on it! Great items that were worth every penny!